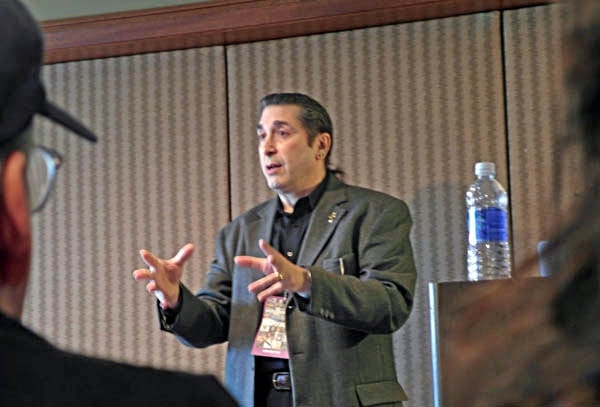 We make our beginnings in the manner of our endings; so it was on Saturday morning, when I headed back to the Rye Brook Hilton's Maple Room, where Friday evening Michael Lavorgna, Steve Guttenberg, and I had spun ripping yarns of shipping labels and galley proofs on the high seas of audio reviewing. (Yarr.) 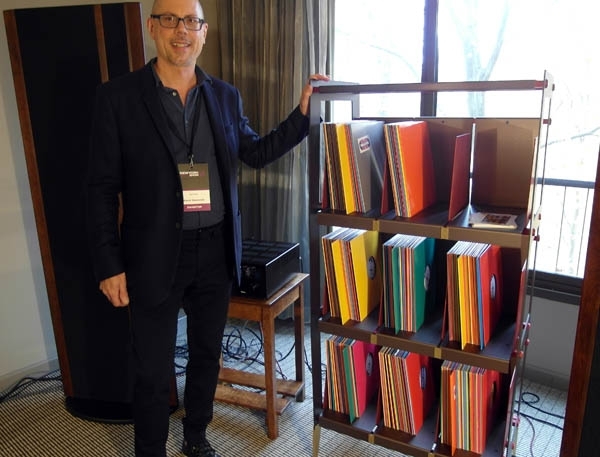 I was there to hear a presentation called Great Sound: Beyond the Gear: Life and Technology: A Compromisea title with more colons than a lower-GI specialist sees in a week!by an audio engineer/designer/producer/acoustical consultant named Stuart Allyn. I was running a minute or two late, and when I opened the door to the Maple Room I saw: a capacity crowd. Wow! There are shows that raise our expectations and there are shows from which greatness is not expected. 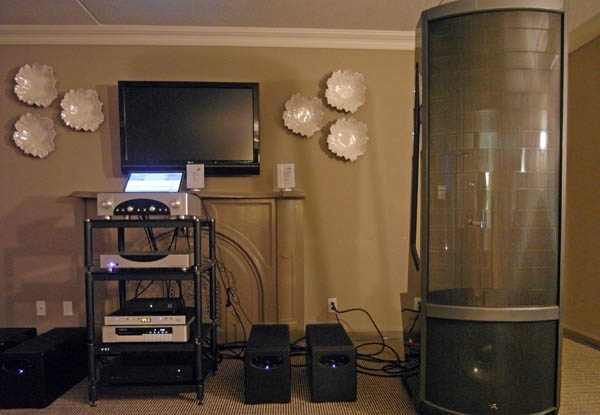 And after October 26, when the organizers of the New York Audio Show, taking place at the Rye Hilton in Westchester County this weekend, announced that they were capping the number of exhibitors at 30imagine Mike Huckabee or Hillary Clinton announcing a limit on corporate donationsthis event slipped into the latter. No amount of positive, industry-healthy attitude on the part of myself or anyone else can shiny that up. 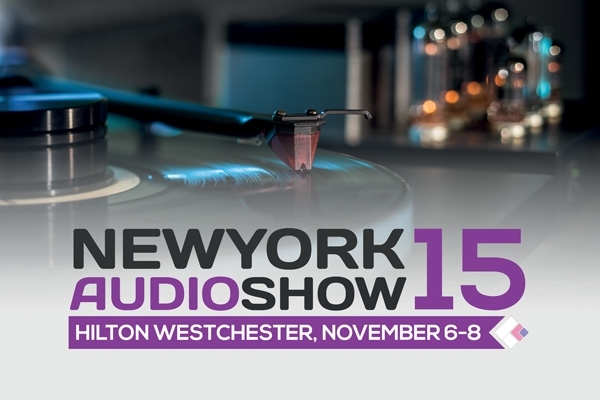 In its latest new location, the Hilton Westchester in Rye Brook, NY, the 2015 edition of the three-day New York Audio Show kicks off on Friday, November 6. The hotel, which is located on 37 acres of woodlands, comes complete with what are reported to be "panoramic view of lush gardens," two swimming pools, tennis courts, whirlpool, sauna, spa, fitness room, walking and jogging trails. 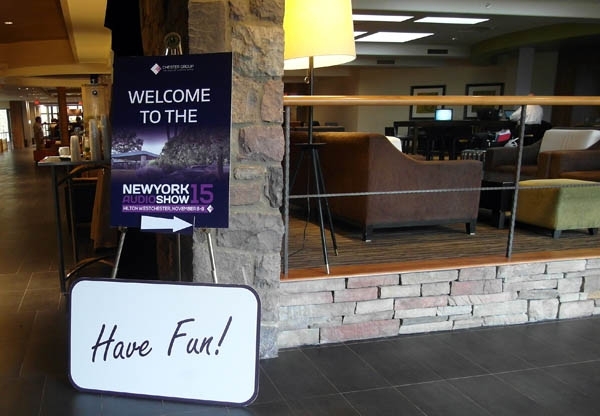 While that may be of interest only to out-of-towners staying for the weekend, local guests will want to learn that the venue is a five-minute cab ride from the nearest Metro North train station (think Madmen), and offers free parking.